Below is an example of an international conference call with attendees located in multiple countries. The example below does not include the savings possible if the participant/s can dial-in using their own VoIP connection from their country such as Skype or other IP phone services. After you determine the above items, find the 'per minute rate' for each of the Toll Free countries where the participants are dialing in from. Use this rates list. Any connection type can be used on the same conference call without disturbing the call in progress. As an example, one of your participants can join your call from Australia using the Australia Toll Free number. On the same conference call, the chairperson could dial-out to participants in China or Ireland -or any country using the optional dial-out feature. Another guest can dial-in using their own VoIP connection from any country. 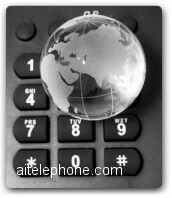 We send you a standard U.S. access number which can be dialed from any country. Most customers enjoy using the Toll Free access numbers because of the convenience to the international participants. In fact the majority of international conference calls are normally international 'Toll Free' access conferences. If your conference meeting has guests located in a country on the Toll Free country list, then you do not need the other access options. That said, there are situations that require the use of the 'Dial-Out' feature. For instance, a participant that may be located in a country that does not have a Toll Free access number and you may not want that participant to join your call using the supplied U.S. toll number. The Dial-Out feature enables the chairperson to use our conferencing facility to dial the attendee and place them into the call. When the attendee receives a Dial-Out call from the host, it is an 'inbound' call to that participant. No passcodes are necessary for that dial-out attendee to join. They just answer the phone when it rings to immediately participate. Another strategy used by some of our customers is to ask a participant to access our conferencing bridge number directly from their country using Skype or some equivalent VoIP service that may be available to them. Your cost would be reduced because the Toll Free rate from their country would no longer be in the equation. It would be replaced with 2.5¢ cents per minute. Any of your participants that have access to a cheap method to call the USA can dial-in directly to our U.S. conference bridge as an alternative to using the supplied Toll Free access number for their country. Participants that dial-in with Skype or another local service may be charged a fee by their VoIP or long distance provider. Use the 'dial-out' option if an access number is not listed for the country where your meeting guest is located. The dial-out rates are typically lower than Toll Free access rates depending on the country of the attendee. Simply exchange the per minute rates shown in the example with the rates corresponding to the countries from where your conferees will use the Toll Free access numbers. If the chairperson uses the dial-out feature to connect an attendee to a conference, the dial-out to that participant is an 'inbound' call to that conferee's phone. The participant does no dialing and simply picks up the ringing phone to hear and participate. The dial-out rate schedule typically has lower rates than International Toll Free access rates depending on the country location. The example on the left is presented as a basis in determining the costs for an international conference call. Since the country locations of your participants will probably be different than the example, simply replace the example countries and rates with your conference call requirements. The Host of the conference call pays the access rates and any dial-out calls.